At certain times of year, in the farthest northern reaches of the globe, the sky lights up in brilliant otherworldly green, pink, and purple hues. Humans have been fascinated with this aerial phenomenon since biblical times. 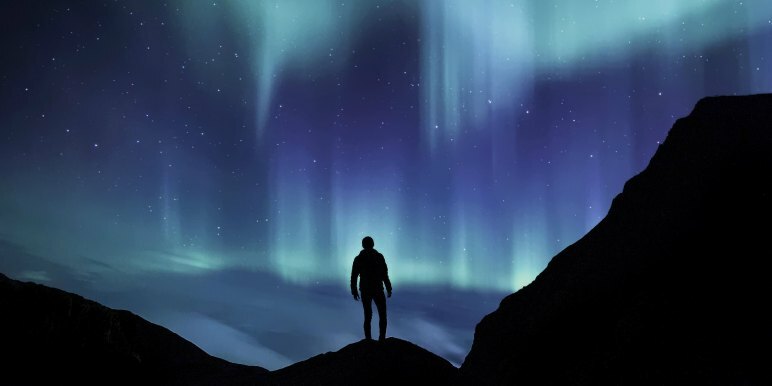 The Northern Lights (also called the Aurora Borealis) figure in legends, folklore, and superstition from many different cultures and countries in the northern hemisphere. Ancient Babylonian writings on stone tablets depict a possible sighting as early as the year 567 BC. 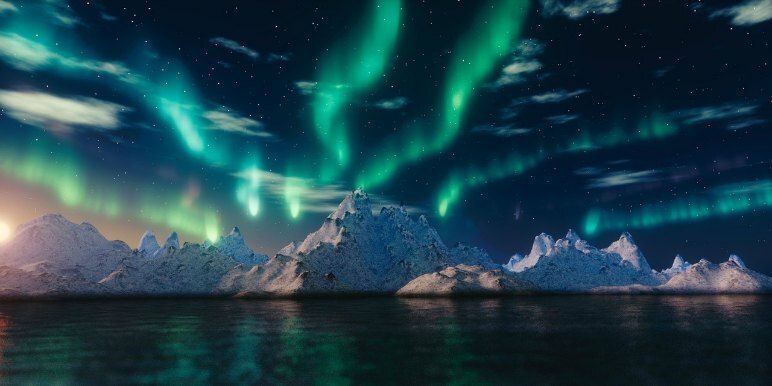 And though there is some debate as to the first official recording of the Aurora Borealis, there is no doubt that early civilizations were just as fascinated by the phenomenon as we are today. Seeing the Northern Lights is a great opportunity to visit the far reaches of the globe into the enchanting lands of the Arctic. The Northern Lights are a phenomena that result when solar flares, sunspots or sun storms send charged particles into the earth’s upper atmosphere, where they collide with molecules of oxygen and nitrogen to create the swirling, flickering, glowing kaleidoscope-like effect of the aurora borealis. 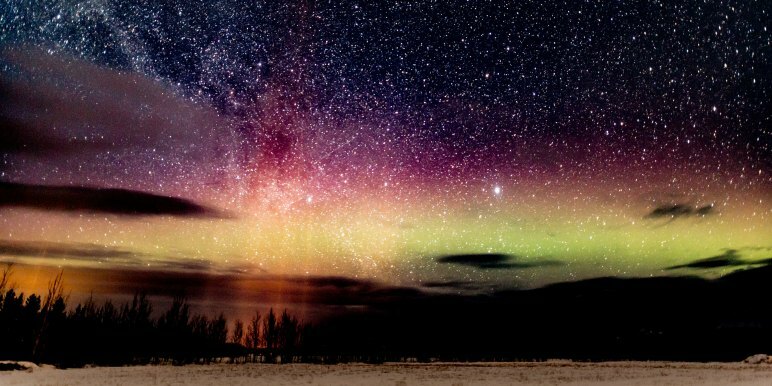 Colors of the Northern Lights vary according to whether the sun’s particles collide with oxygen or nitrogen molecules, or both. The altitude of the collisions, which can range from 50 to 400 miles up, affects the colors as well, as does the intensity of the solar flares, stronger in some years than others. The lights typically appear for around a half hour at a time, and may reappear a few hours later. All these factors add to the unpredictability of viewing. The brilliance of the Northern Lights becomes vastly more impressive when ambient light disappears. This means you may have to journey a few hours away, to escape city and town lights, but it’s worth it. While this may seem obvious, the biting cold of the arctic cannot be understated, and may take you by surprise. Don’t underestimate the value of long underwear, layers, and thermal materials. For photographers, it will be especially important to invest in non bulky gloves that will keep your hands warm but nimble. 3. Practice Night Photography and Timelapse BEFORE you go! Cannot be stressed enough. The last thing you want is to get home and realize your images are unclear, fuzzy, blurry, or over-exposed. The best way to practice is to set up your tripod at night, start a timelapse, and keep a light log so you can track your settings. Check your images and adjust the settings you used accordingly. 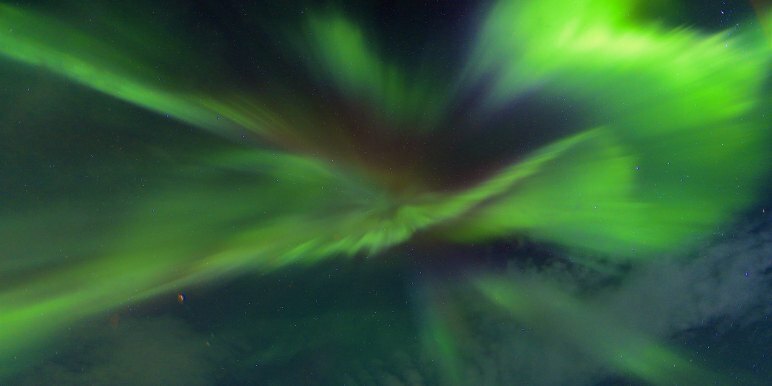 The visibility of the Northern Lights, unfortunately, is subject to the weather. 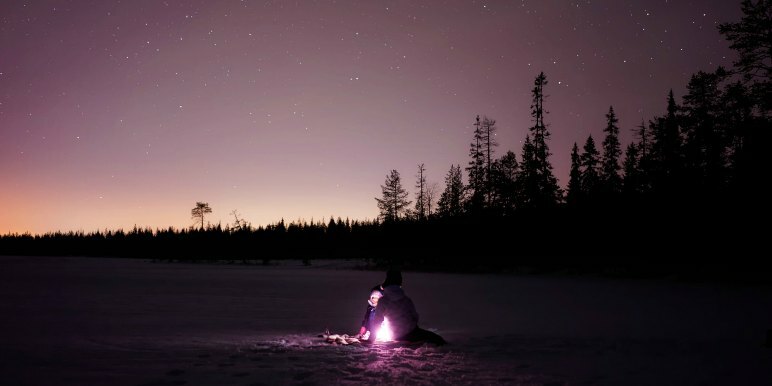 While most tours to see the Northern Lights have a firm grasp on the forecast, sometimes the night you had planned to go just doesn’t cooperate. Use an Aurora Forecast to get the most up to date information. Tied to number 1 on this list, getting away from city lights may often require going off road. This can be bumpy and uncomfortable - so get ready! If you think it will be too uncomfortable - often older travelers, travelers who get car sick or have other conditions will find off-road vehicles extremely hard to travel in - consider a destination that requires less off-roading. 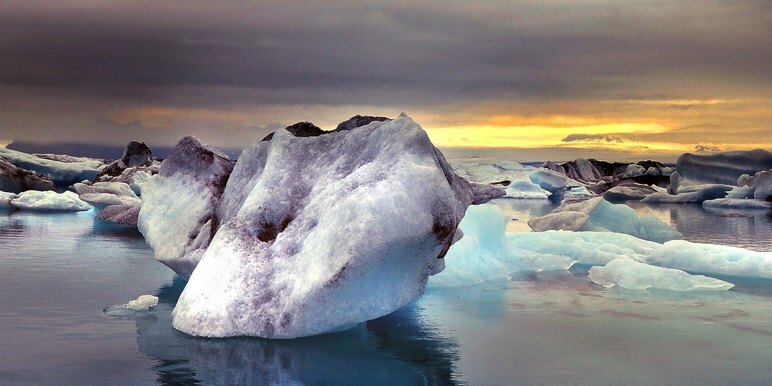 Many Iceland, Greenland, and Canada destinations will be suitable. You can actually see the Northern Lights from many destinations. Probably more than you think. In general they are the most brilliant on either side of deep winter (November, December, and February, March) and the farther north you go, the better. Technically the lights are in the sky all year round, but only visible to the naked eye in winter. 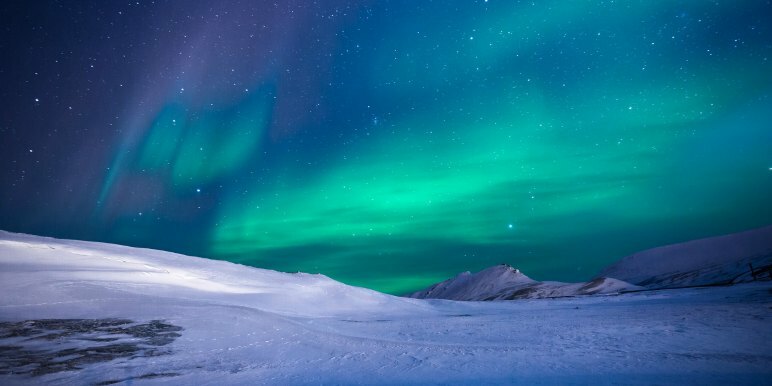 However you don’t need a dog sled to the ends of the earth to see the Northern Lights - they are just as impressive from easier to reach locations. 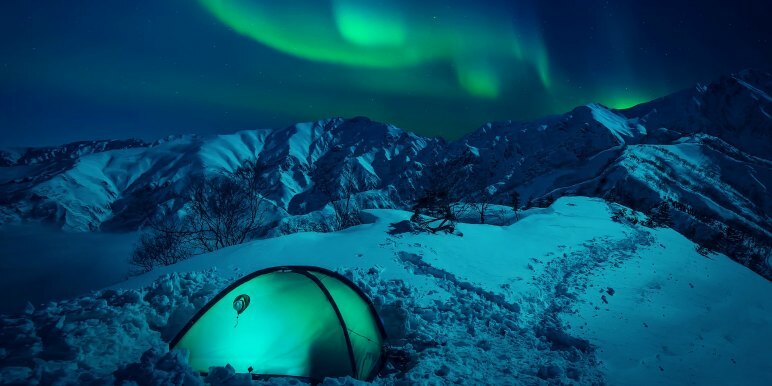 Of the many places where you can go to see the Northern Lights, Canada and Alaska probably offer the most well rounded winter activities, in environments that don’t get quite as cold as the Scandinavian countries. 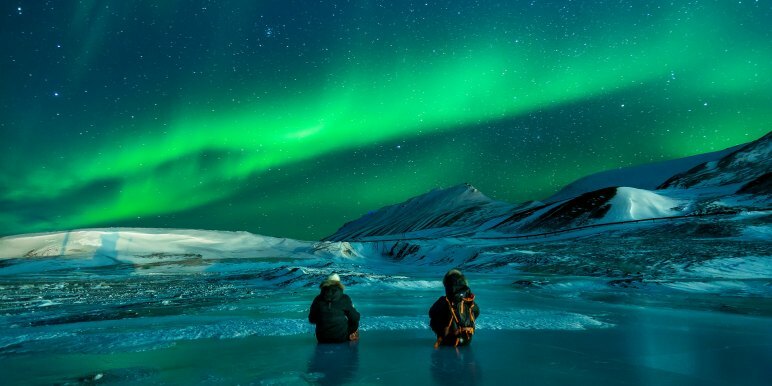 Believe it or not, Alaska is a wonderful place to view the lights. Often called “The Last Frontier” Alaska is a place of vast wilderness and snowscapes, yet it’s accessible - the perfect combination. 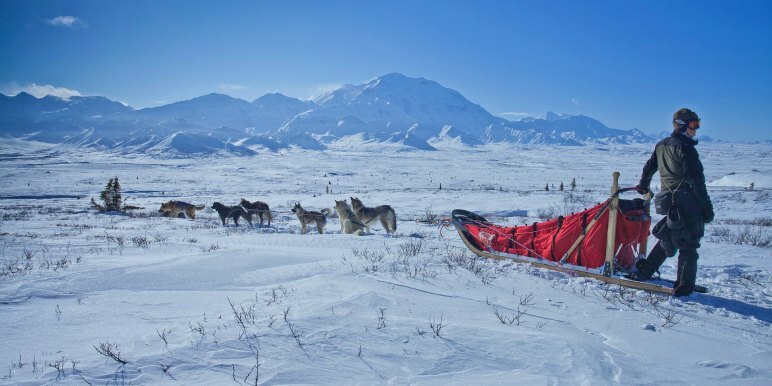 Nome - The official home of the iditarod race, Nome offers expansive snowy landscapes for viewing the lights. And if you happen to be there during the iditarod, nothing could beat observing this most ancient mode of travel under a sky lit up with the aurora. Denali - Stunning Denali National Park offers wonderful viewing opportunities. Staying right in the park is the best way to go. Barrow - This very small town in far north Alaska, in fact north of the Arctic Circle, is great if you’re interested in learning about local Inuit cultures. 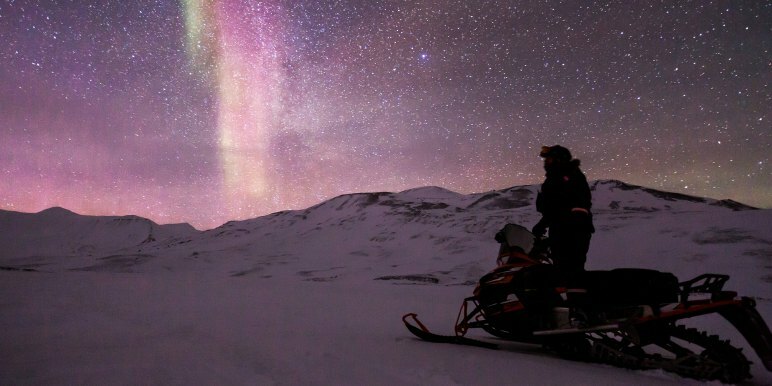 You can also try your own hand at dog sledding under the night skies as the aurora comes into view. 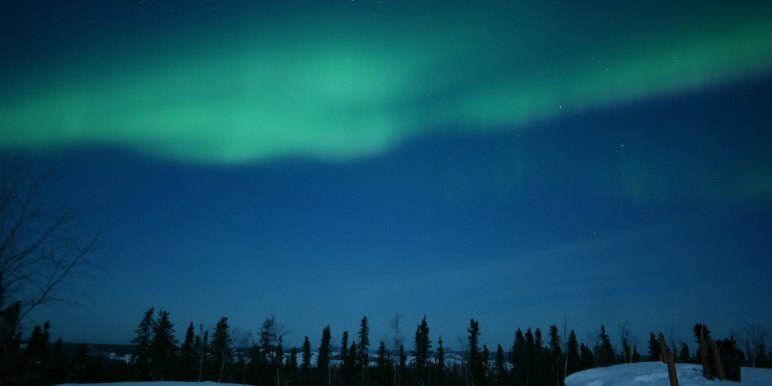 Canada’s fantastic Northwest Territories offer unbelievably clear and crisp conditions for viewing the lights. Churchill is a classic viewing area - also famous for polar bears. If you’re really lucky, you may see both at once. Wherever you plan to go in Canada, be sure to stay as far north as possible. Dempster Highway - This is best done with an experienced driver and guide. This is the northernmost highway in Canada, and it gets extremely icy and treacherous during the winter. But the wide stretches of open road are undoubtedly one of the best viewing opportunities. The downside is that it’s a “pull of and observe” situation, rather than an excursion from a base in town. 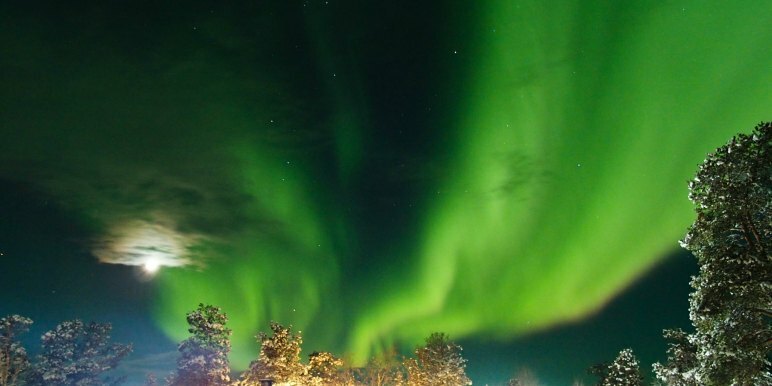 Whitehorse - Located in the Yukon, the town of Whitehorse is a popular place for spotting the lights. They exhibit a bit more purple than is common in other arctic regions, so this is an especially fun spot to come if you’ve seen the lights elsewhere and are looking for something new. Battle Harbor - Located in Newfoundland, this is a great place for viewing if you’re a history buff. Visit in September before the town closes down for winter and to also get a glimpse of the lights as they first begin to appear in the skies. 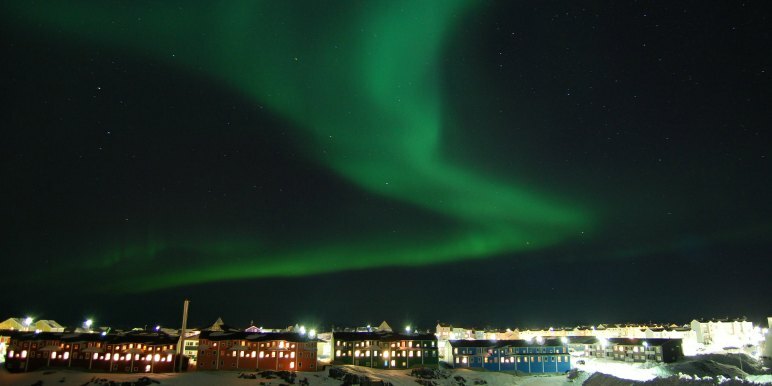 The Northern Lights are visible from almost anywhere in Greenland. Trips to Greenland typically involve cruising, so this is a great opportunity to view the lights from the water. If you are in the south of Greenland where it’s warmest, the lights are visible as early as August, however the best time to go is still between September and April. 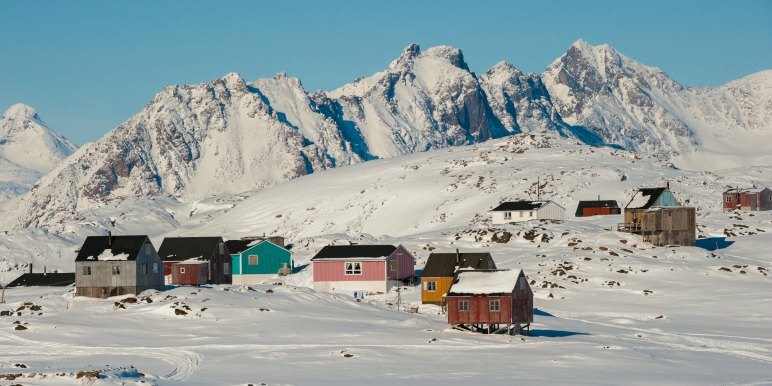 Kulusuk - This island off the east coast of Greenland brings you up close and personal to the frigid temperatures of the arctic, but also presents one of the clearest views of the aurora. Ilulissat - For the truly adventurous, you can take a trip via dogsled to an eery Icefjord landscape. Kangerlussuaq - This inland area of Greenland boasts 300 clear nights a year. 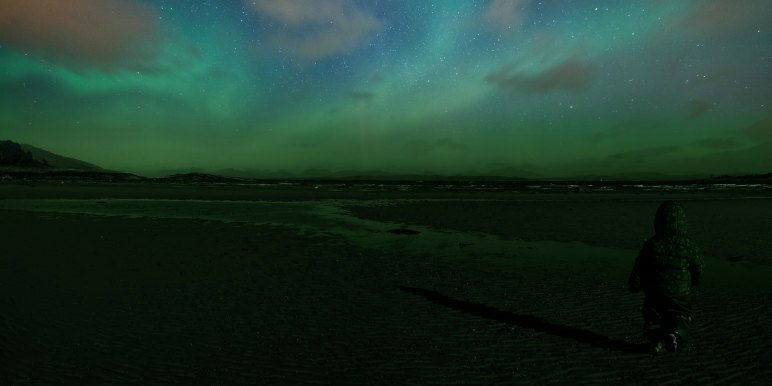 The perfect conditions for viewing the night skies lit up with the Aurora. It’s also a great place to come for photographing the lights against the beautiful Russell Glacier. 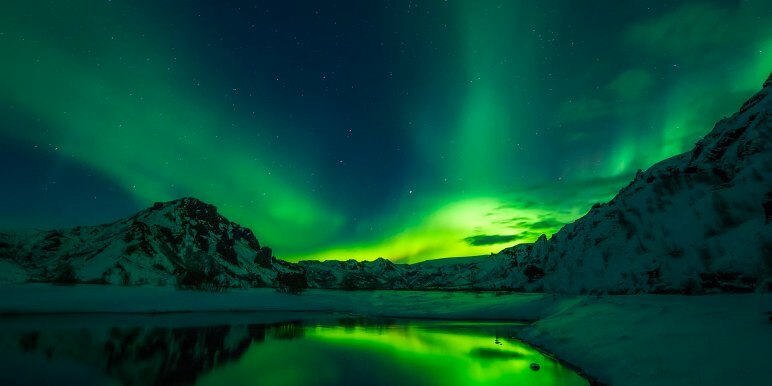 Iceland is certainly one of the most popular places to see the Northern Lights - and this can be a good or bad thing depending on your perspective. There will most likely be large crowds heading out to see the lights. This can be quite a fun event, as you share the experience of observing the incredible sight with many other observers, also in awe. It can also be a great way to learn from other photographers on their best tips and tricks. Guided tours from Reykjavik generally leave around 8/9pm returning around midnight. Westfjords - On the east coast of Iceland, the Westfjords region is beautiful, wild and largely unpopulated. A good plan is to use the fishing town of Isafjordur as a base from which you only need to drive a short way to have great viewing opportunities. Jökulsárlón - this is the postcard shot for Iceland’s Northern Lights. You can observe the lights as they reflect in an eerily quiet lagoon, decorated with icebergs. The perfect place for composing incredible photos. Thingvellir - Iceland’s most well known National Park also happens to be an excellent Northern Lights viewing area. One tip from HappyCamper.com is to drive 10 minutes or so past the tourist info center to find a pull off from the road. It’s a little ways up a hill which gives you incredible views of the park below and the night skies above. 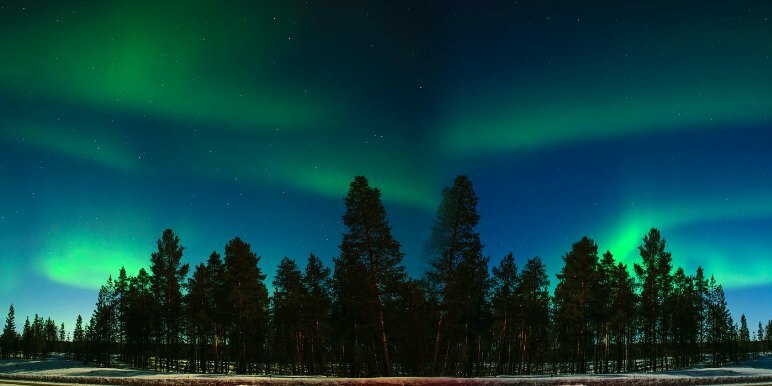 Beautiful Finland is another great place to see the Northern Lights. Some resorts even offer the chance to stay in an igloo, where you can see the lights filtered through the ice or from the doorway of your igloo home, unobstructed by other lights and over a blanket of snow. In fact, Finland offers a number of unique accommodation types, perfect for watching the lights float by in comfort. Finland is probably among the more accessible destinations that also still feels extremely far away. Sodankylä - This is the location of the historical landmark, Finland’s National Observatory of Northern Lights. Therefore a pretty great place for viewing! Nellim - on the banks of the Inari, Finland largest lake, this small town is a bit south for prime viewing, but the views across the lake are extraordinary. It’s also very close to the border with Russia. Utsjoki - The northernmost town in Finland, on the border with Norway, this is a classic Northern Lights viewing area. 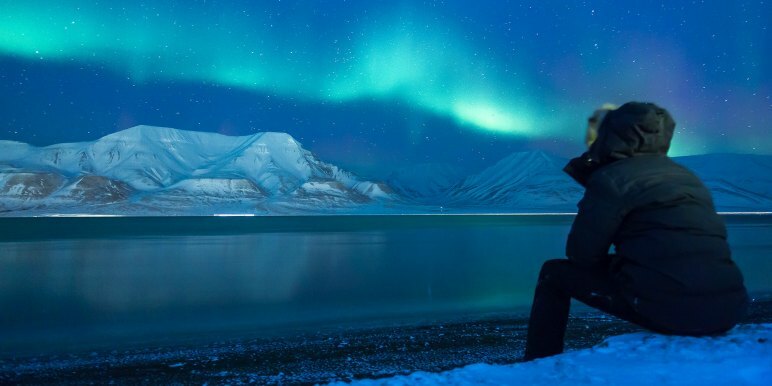 There are some spots on mainland Norway where seeing the lights is a possibility, but the island of Svalbard is where it’s at. 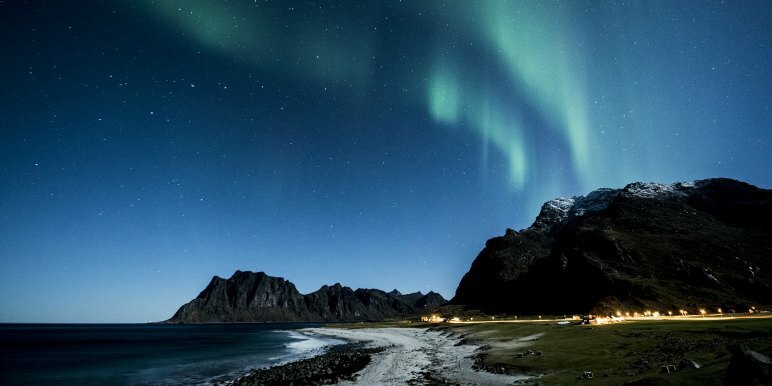 Norway has one of the longest viewing times - anytime between October and March they are visible. And if you happen to be visiting Svalbard between mid November and January, you will get to experience the famous “Polar Night”. The entire island experience zero daylight during this time - existing in an eery 24 hour twilight for three full months. The Northern Lights will be visible as well, in one of the more unique color schemes they appear in. 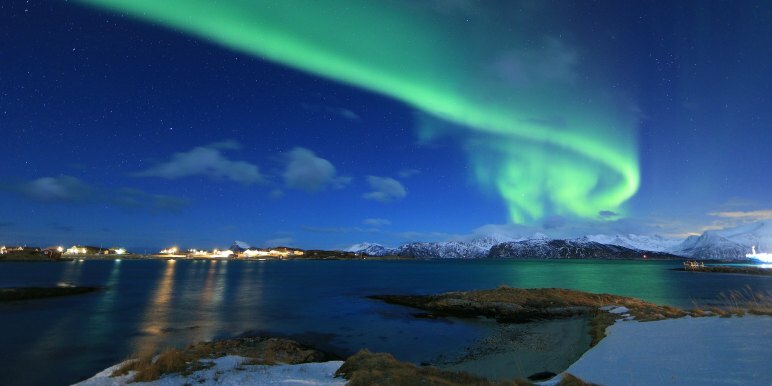 Tromso - Known as the “capital of the arctic” and 217 miles north of the Arctic Circle, Tromso is an ideal viewing area for the Northern Lights. Many arctic activities are available in the area, making it a great all-around winter holiday. Lakselv - Home to many national parks where you can observe rare plants and animals native to Finland, Lakselv is the perfect place to visit for nature lovers. 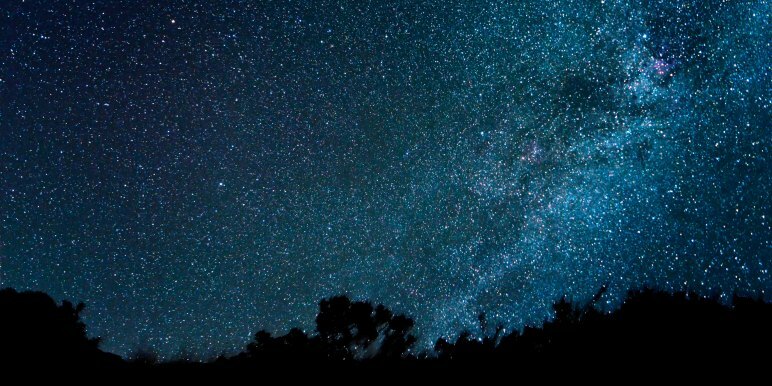 The expansive natural areas make it great for viewing the lights as the interference of artificial light is extremely minimal. It will be cold! 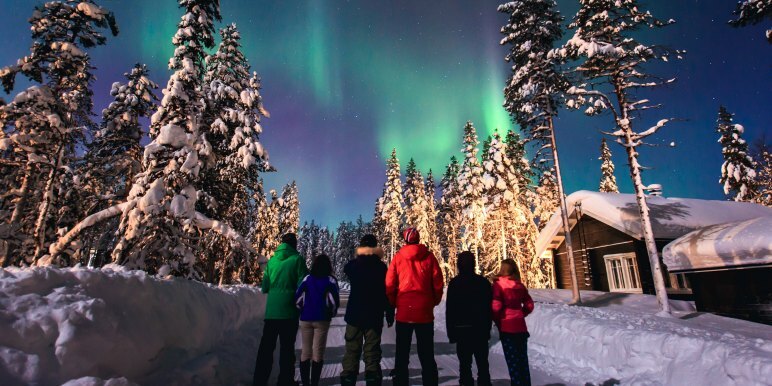 By virtue of when and where they appear, in the wintertime and up north, you will want to pack some pretty hefty jackets and bring lots and lots of layers for your excursion to see the Northern Lights. 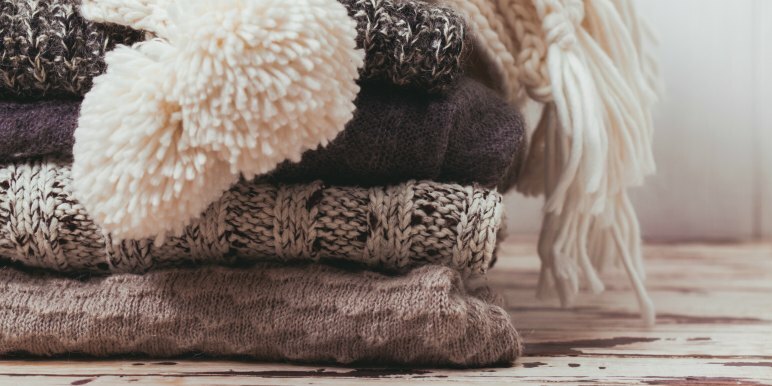 Fleece and wool are great materials to consider. Cotton is a material to avoid as it’s super absorbent and can quickly become heavy and smelly. If you know your skin is particularly sensitive to certain fabrics, be sure to pack accordingly. The air will probably be a lot drier than you’re used to and the arid air can cause hypersensitive skin to get itchy and irritated. This includes waterproof bags for backpacks and camera packs. You may not experience much rain, but snow will be common, and you’ll be outdoors for a good stretch of time. For the snow and cold, make sure you have a good pair of boots with a comfortable lining. Be sure to break them in a significant amount of time before you intend to use them. This is essential for staying comfortable throughout your journey. TIP: you’ll probably want to buy them one size bigger than you would normally. This will prevent bunching up when you wear thick socks, and make them a lot more comfortable to wear over long distances. This can be a tricky one for people whose feet get naturally sweaty. But there are some brands that can help address this very issue, and it’s very important to pay attention to your toes and fingers to make sure they get enough circulation in the frigid temperatures. 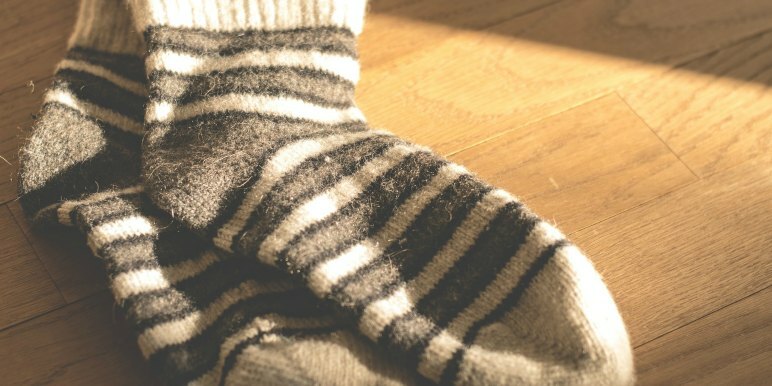 A general rule of thumb is to keep an eye out for socks that are a high percentage of Merino Wool. Sock Liners will also help with sweating. Similarly to fingers and toes, the place people most commonly forget about protecting in cold weather is ears! Making this mistake is very easy, as the top of your ears quickly goes numb. Bring earmuffs and a warm wool hat. There’s always a chance on your excursion to see the Northern Lights that you will be waiting for an undetermined length of time. 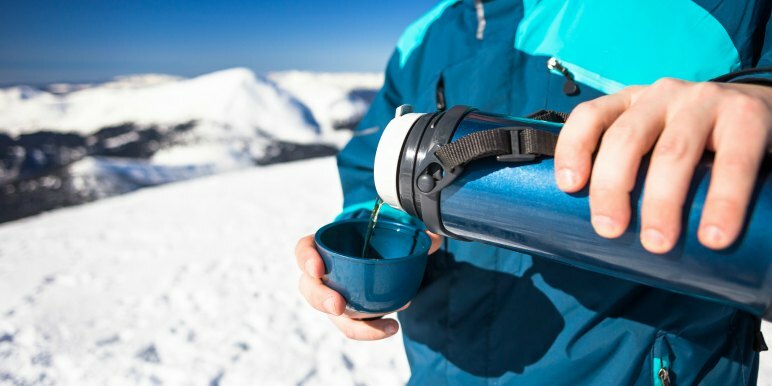 Having a thermos of coffee, hot chocolate, or soup with you can be very helpful both for keeping warm and satiating hunger. Another good idea is to bring a pack of cards or other easily portable games. Even in the deep winter, sunburn is possible. In fact it’s extremely common because most people don’t consider planning for sun. But the bright white snow is reflective and the sun, though it may not always be visible, is ever-present (ok, unless your in Norway for the Polar Night). The air will be very dry and cold. This causes your skin to get extremely dry. Wear a lot of chapstick and protect your face from windburn. Bring extra batteries everything! Seeing the Northern Lights is an operation. The last thing you want is to have a dead battery or an unexpectedly full SD card. Make sure you pack extras, and make sure they can stand up to the cold. It’s also a good idea to have a headlamp to help you see while you set-up your tripod and get your camera ready to capture the heavens. The Northern Lights are as ephemeral as it gets - for thousands of years they have entranced us and mystified us. And what do humans do when something is confusing? Well we generally try to capture it. And here are some ways you can capture the famous hues of neon green, blue, and sometimes pink. 1. You’ll want a very sturdy tripod first and foremost. You will not be able to capture the brilliance of the lights in all their glory if you have to hold your camera. Practice with taking long exposures and time lapses before the big day, and make sure your camera can stand up to cold. If you have the space, try to bring some weights for your tripod and make sure it’s set up far enough away from paths and people to avoid being bumped. Tripods come in many different forms, but the sturdier the better. If you don’t have a hard duty tripod, some tours will provide sandbags to help hold lighter models in place. They are also extremely bulky to travel with, so look into options for renting tripods in town or from where you’re staying. 2. Bring a light log to keep track of your shutter speeds and apertures so you can see exactly how and why your pictures turned out, or alternatively, be able to fix mistakes next time. In some places you may have the opportunity to take multiple trips to see the lights, so this will be invaluable for improving your photos. 3. In general you’ll want a fast lens in order to get the clearest image. 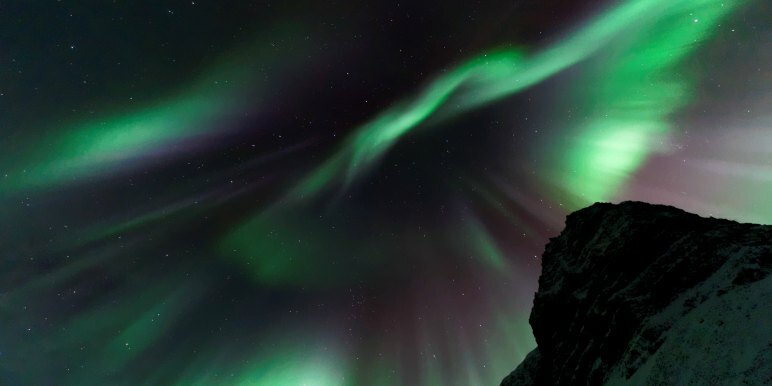 The Northern Lights are a tricky thing to capture effectively. It’s literally all the conditions you don’t want to deal with as a photographer unless you have unlimited equipment at your disposal: dark, cold, movement (stars will look streaky as they are moving, albeit slowly, during your exposure), and faint shifting color. 4. 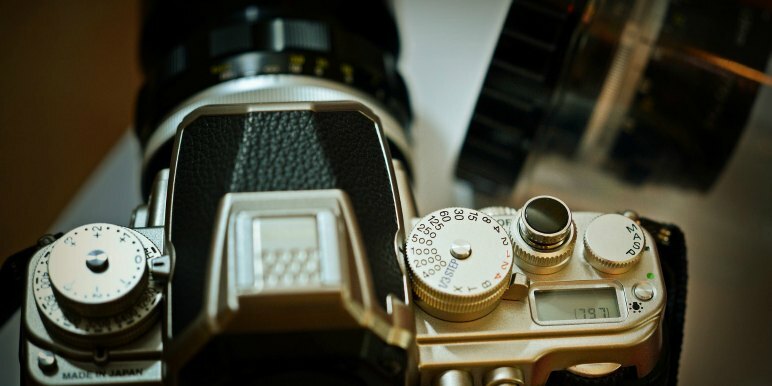 Use an external shutter release. This will minimize any chance of bumping your camera and ruining the exposure, and also gives you more freedom to observe the lights with the naked eye, instead of needing to stay put looking through the lens. 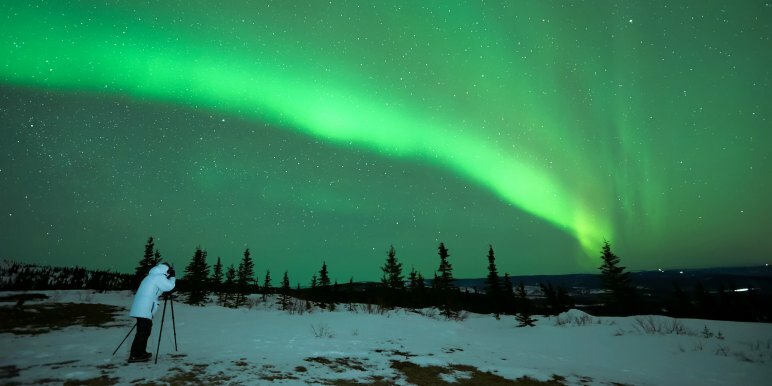 Trupti, travel blogger at Exploring the Blue Marble, also offers some great camera setting tips from when she visited Yellowknife, Canada, to see the Northern Lights. Don't miss #5 on her list! 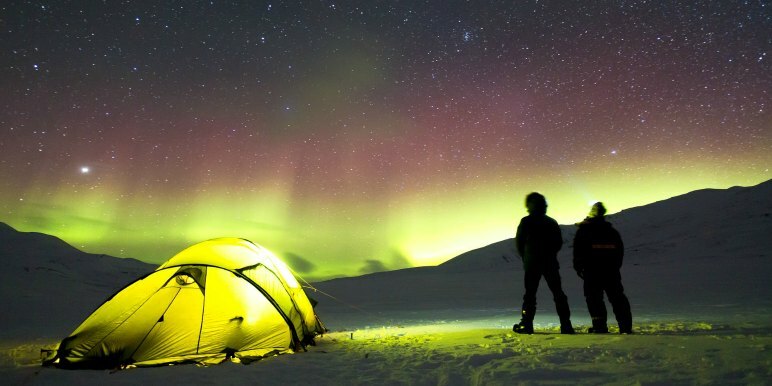 Seeing the Northern Lights is one of the most unique experiences a traveler to the Arctic can have. 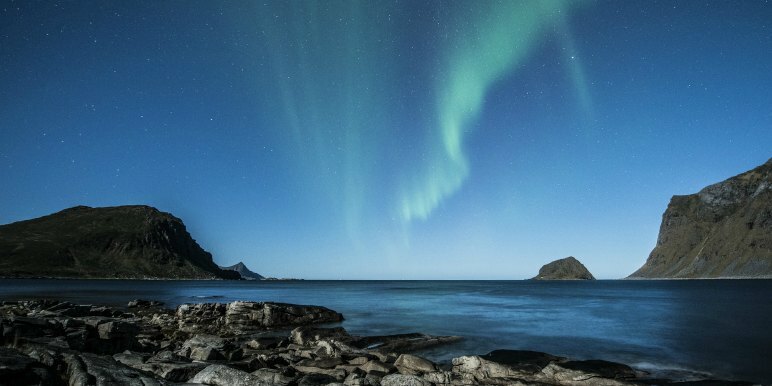 We hope our tips will help you plan the best trip possible to get the most out of your Northern Lights journey. Remember! The Northern Lights are finnicky, and may not appear when promised. So go with a plan to sight see the surrounding area, check out local wildlife and tourist attractions. Do you have a tip to add? Let us know in the comments! 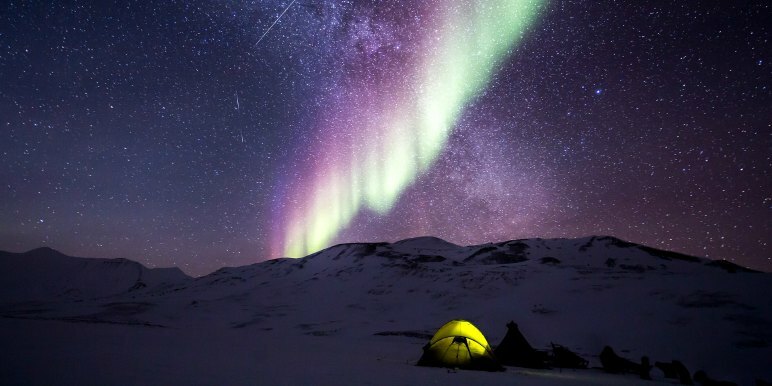 We'd love to hear about your experiences seeing the Northern Lights. Thanks for reading! While this material doesn’t cost a cent, it isn’t free. We put a lot of work into this, to make sure we present you with only the most valuable information. If you found this post useful, your friends probably will as well! Send it to 2 friends who you think would also enjoy learning insider tips on seeing the Northern Lights. This is an amazing post to see one of the most glorious views. Truly the Master artist has given us a treat. The Blogger's Pit Stop will feature this post. Congratulations on a quality post.